Find the best wedding planners for your perfect day. 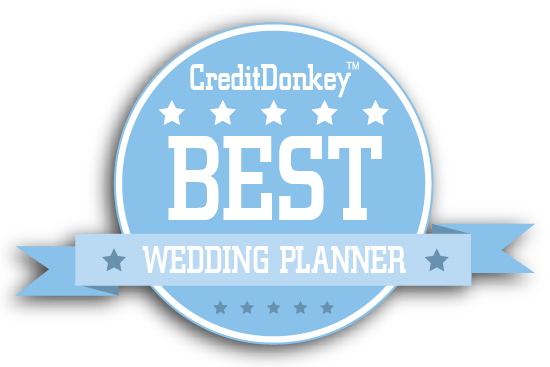 Winners of the CreditDonkey Best Wedding Planners to Follow have just been announced. Personal finance website CreditDonkey knows how important your big day is. Weddings can get expensive, but we want to do our part in helping you get the most bang for your buck. That's why after researching the best places to buy engagement rings online, we took on the task of scouring the Internet for the top wedding planners worth following. Whether you're planning a DIY, low-key wedding or the ultimate luxury destination wedding, these planners know how you can pull off your dream day. Few brides have experience planning a major event, never mind the most important event of their life. You're not alone. You can lean on the advice of these wedding planners, who are openly sharing their know-how and vast experience on their websites. Follow any of these planners as you get ready for your wedding—and you may find one who could help you. Tip: Ready to start planning your honeymoon? Learn the airline miles and credit card points game to score free flights and hotel stays. 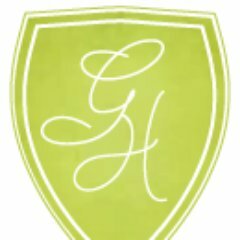 Need help developing a theme? Want to know the latest trends? Or just looking to browse photos for some inspiration? You'll find those things on the sites below, all of which caught our attention for forthcoming advice and lots and lots of beautiful photos. A blog that's built around helping couples plan laid-back, drama-free weddings, this site balances practical planning advice with stories and articles to help couples deal with wedding stress and anxiety. Why A Practical Wedding is a Top Wedding Planner to Follow: If you're hoping to avoid all of the stress that typically comes with planning a wedding, this site is geared specially toward you. Colin Cowie's blog is a wide-ranging wedding blog featuring DIY ideas, style inspirations, site-specific planning tips, and more. Why Colin Cowie Weddings is a Top Wedding Planner to Follow: If you want a wedding blog that can help you with every aspect and detail of your wedding, this is a great place to start. Whether you need some advice on picking the right venue or just want some pictures to spur your creativity, this blog has plenty of wedding planning goodness. Why Shannon Leahy Events is a Top Wedding Planner to Follow: Shannon Leahy Events has plenty of great advice on their blog for those planning a wedding or starting a wedding planning business, and they even run a class for aspiring wedding planners. This Philadelphia-based wedding planning blog features stunning photos and articles on the hottest trends in weddings, honeymoons, and more. Why Cescaphe Event Group is a Top Wedding Planner to Follow: A blog with a wide range of available topics including trendy menu items, honeymoon destinations, and photographic inspirations, this is a great site if you're looking to get started planning a particularly elegant wedding. 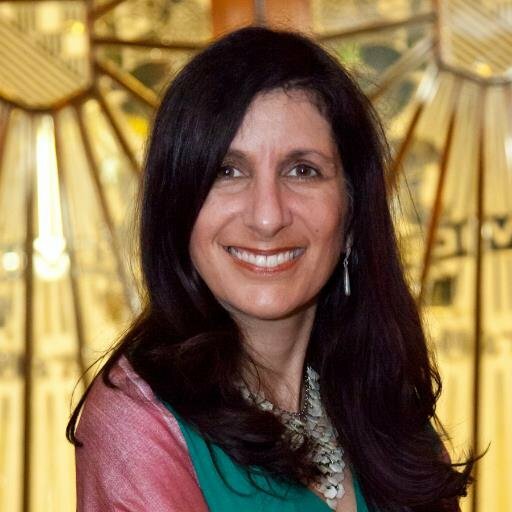 Mindy Weiss has years of experience in wedding planning, and the tips and advice on her blog reflect her high level of expertise. 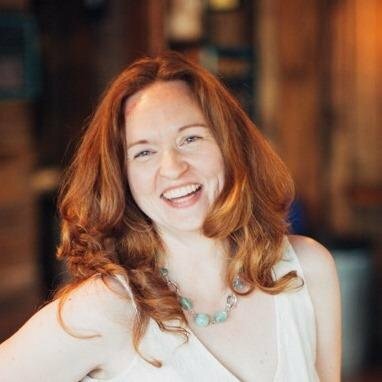 Why Mindy Weiss is a Top Wedding Planner to Follow: Mindy's experience shines through in her unique ideas and advice, so if you're looking for some fresh new wedding ideas, this is a great blog to visit. From DIY ideas to deals, this site features ideas for throwing a beautiful and budget-friendly wedding. Why The Budget Savvy Bride is a Top Wedding Planner to Follow: If you're planning a magnificent wedding on a tight budget, the deals and ideas in this blog are must-haves. This Austin, Texas-based company loves to inject a little Austin flair into its weddings, and its blog shows plenty of examples. 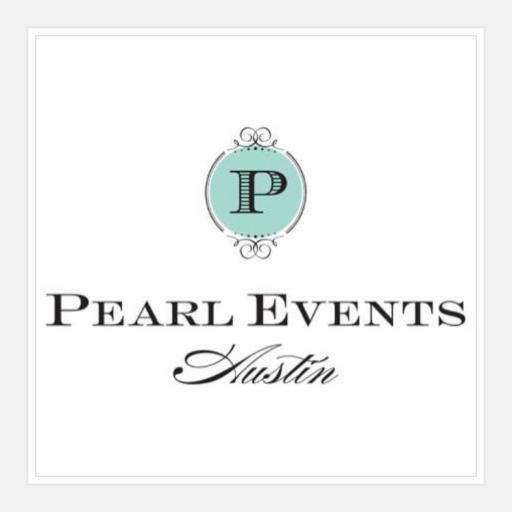 Why Pearl Events is a Top Wedding Planner to Follow: Whether you want a traditional wedding or something a little more eclectic, this blog will inspire you and even help you put a little Texas spin on things. Weddings in Vieques plans destination weddings in Puerto Rico, and their blog provides advice on tropical destination weddings and a wide variety of wedding-related subjects. Why Weddings in Vieques is a Top Wedding Planner to Follow: This blog is perfect for those planning a tropical destination wedding, but it also features a wide variety of articles on everything from cost-cutting to writing the perfect toast. Brilliant Event Planning's blog features articles chock-full of wedding advice, including tips on how to plan a memorable marriage proposal. 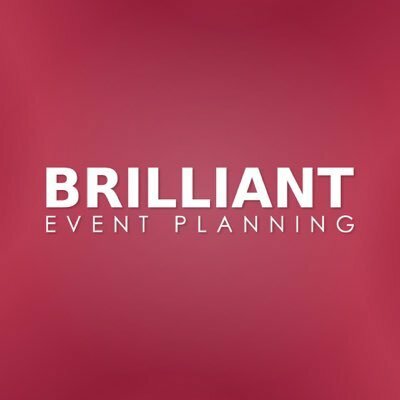 Why Brilliant Event Planning is a Top Wedding Planner to Follow: Filled with a wide variety of articles featuring wedding advice, this is a great blog for those just getting started with their planning process. In addition to photography that shows off personality-packed weddings, this blog also features advice on finding the perfect planner and more. Why Alison Events is a Top Wedding Planner to Follow: This company prides itself on crafting weddings that reflect the bride and groom's personalities, and their beautiful photography, showcasing each unique event, is sure to inspire you. This blog stands out not only for its wedding planning content, but also for its small business advice columns. Why No Worries Event Planning is a Top Wedding Planner to Follow: With plenty of small business tips in addition to wedding content, this site is perfect for those considering starting a wedding planning business of their own. Bellwether Events, a wedding planning company based in Washington, DC, has a blog packed with great photos of their various weddings and events. Why Bellwether Events is a Top Wedding Planner to Follow: The different venues featured in the photos on this blog make it a great stop for anyone planning a wedding in the Washington, DC, area. This events blog features do-it-yourself advice on everything from snacks to drinks to decor. 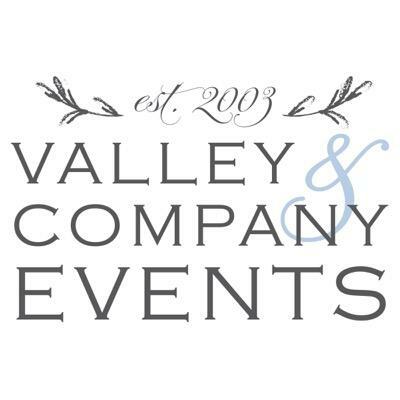 Why Valley & Co. Lifestyle is a Top Wedding Planner to Follow: If you're the do-it-yourself type, you can fashion the perfect handmade wedding or party with the tutorials found on this blog. This blog's photos detail not only the weddings they plan, but also the little details like place settings, nametags, and more. Why Bash, Please is a Top Wedding Planner to Follow: This company features their beautiful handmade place settings and nametags on their blog, making this site a great one to head to when you're looking for wedding decor and accessory ideas. This blog's posts are filled with ideas perfect for anyone planning a wedding, from beautiful invitations to festive fun food. Why TARA GUÉRARD SOIRÉE is a Top Wedding Planner to Follow: Rather than just a photo blog, this site features articles designed to help couples pick the perfect elements for their wedding. What began as one bride's personal inspiration blog for her own wedding is now a repository of photos and articles for the preppy and polished bride. Why Classic Bride is a Top Wedding Planner to Follow: Gathering inspirations from all over the country, this blog is perfect for brides who are planning a classic, timeless wedding. While most of this blog's content is wedding photos, its articles on up-and-coming trends and musings on wedding traditions are a must-read. Why Bellagala is a Top Wedding Planner to Follow: If you're stressing about the little things like party favors or picking the right DJ, this wedding planning blog is for you. Michelle Rago is an expert on planning and executing international weddings, and her blog is filled with great ideas on that front. 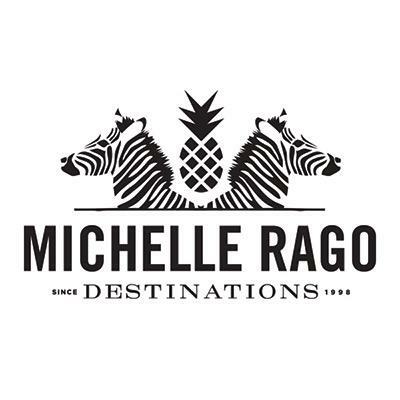 Why Michelle Rago Destinations is a Top Wedding Planner to Follow: For those planning a destination wedding, this blog helps with the logistics, travel, and more. While it has plenty of images to draw inspiration from, this blog's big draw are its example wedding videos. 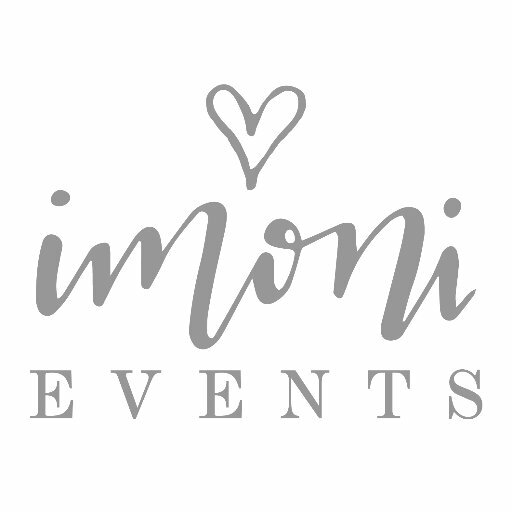 Why Imoni Events is a Top Wedding Planner to Follow: If you're planning a wedding video of your own, the examples featured on this blog will provide you with some great ideas. 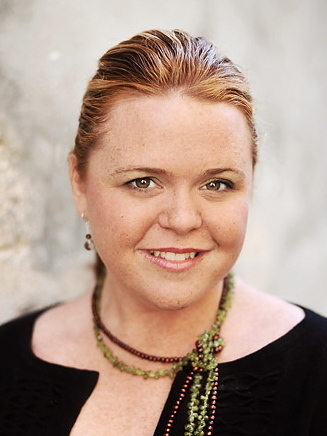 Wedding planner Tracie Domino has won numerous awards and been published nationally, and her blog is chock-full of style, menu, and decor ideas for weddings. 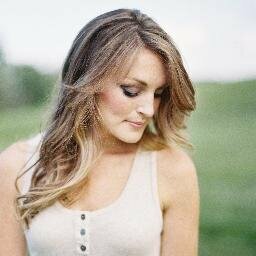 Why Tracie Domino Events is a Top Wedding Planner to Follow: Tracie Domino is an award-winning wedding planner and her blog shows why - it has plenty of beautiful photography and advice on everything from your wedding's menu to its color scheme. This Miami-based couple's wedding planning blog features photos and ideas for everything from destination weddings to traditional, elegant celebrations. 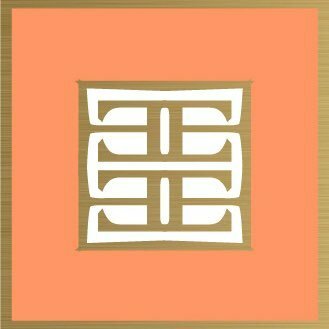 Why JCG Events is a Top Wedding Planner to Follow: The wide variety of styles featured on this blog, from elegant to exotic, makes it perfect for those looking to plan a uniquely memorable wedding. These wedding planners specialize in floral arrangements, and their blog is filled with lush photographs of their work. Why Elegance & Simplicity Engaged and Green is a Top Wedding Planner to Follow: If you're on the lookout for inspirations for the perfect centerpiece or floral arrangement, this blog is a must-visit. Featured in a huge number of publications, this blog offers plenty of expert expertise on everything from keeping your wedding guests happy to planning the perfect ceremony. 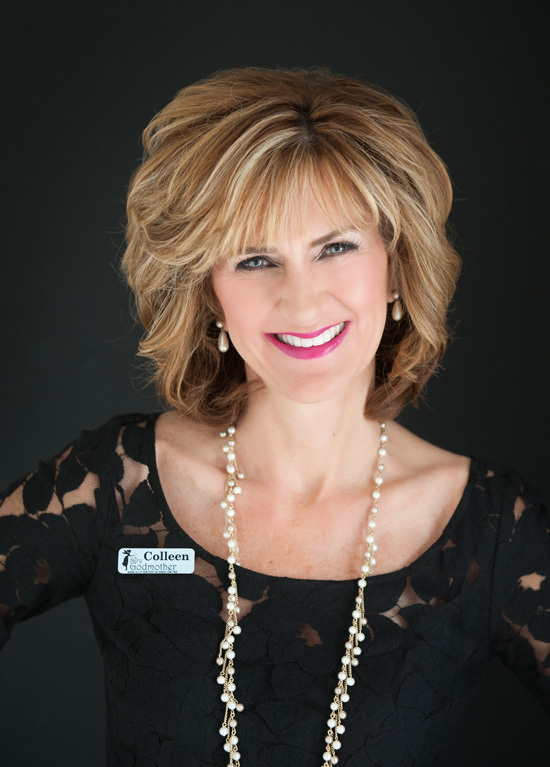 Why Calder Clark is a Top Wedding Planner to Follow: With columns published in a number of national wedding magazines, this is the blog for anyone looking for plenty of professional, trustworthy wedding planning advice. Brimming with classy ideas for invitations, wedding party gifts, and more, this blog is designed to help you hold the most stylish wedding of the year. Why Engaged and Inspired is a Top Wedding Planner to Follow: If you want your wedding to feel fresh, modern, and stylish, the ideas in this blog might be just what you're looking for. Minnesota-based Munster Rose has a blog featuring floral ideas of all shapes and sizes. The large, crystal-clear images on this blog feature great close-ups of wedding floral arrangements. Why Sinclair and Moore is a Top Wedding Planner to Follow: If you want some truly exemplary floral arrangement inspirations, let the images on this blog be your guide. With great close-up photos of wedding decor and accessories, this blog's style is second to none. Why Merriment Events is a Top Wedding Planner to Follow: For those who want to throw the most stylishly-designed wedding of the year, Merriment Events' blog will be your decor guide. A South Carolina-based planning company, Embellished Weddings' blog is all about throwing the perfect Lowcountry wedding. Why Embellished Events is a Top Wedding Planner to Follow: Whether you need food, fashion, or venue advice, this blog is a must for anyone planning a wedding in South Carolina. Each post on this blog tells the story of a wedding through photos - from the invitation all the way up to the reception - providing a glimpse into the planning of many elegant weddings. 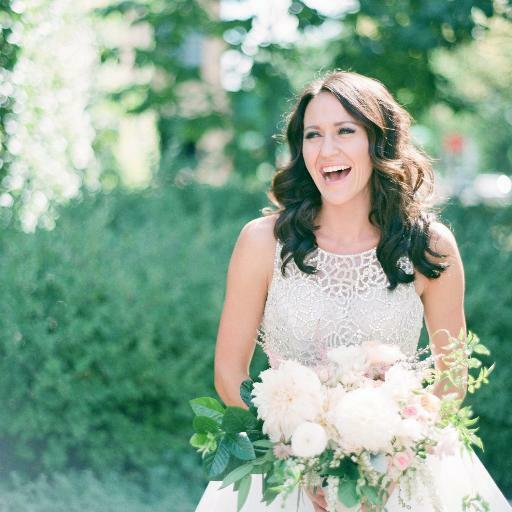 Why Erin McLean Events is a Top Wedding Planner to Follow: This blog's method of storytelling through pictures is a perfect fit for those looking for photographic inspiration for their own wedding. A blog dedicated to helping brides realize the wedding of their dreams, this site is filled with great planning advice. Why Forever Bride is a Top Wedding Planner to Follow: This blog features advice on everything from the dress to the vendors for the bride who wants to plan her own wedding. 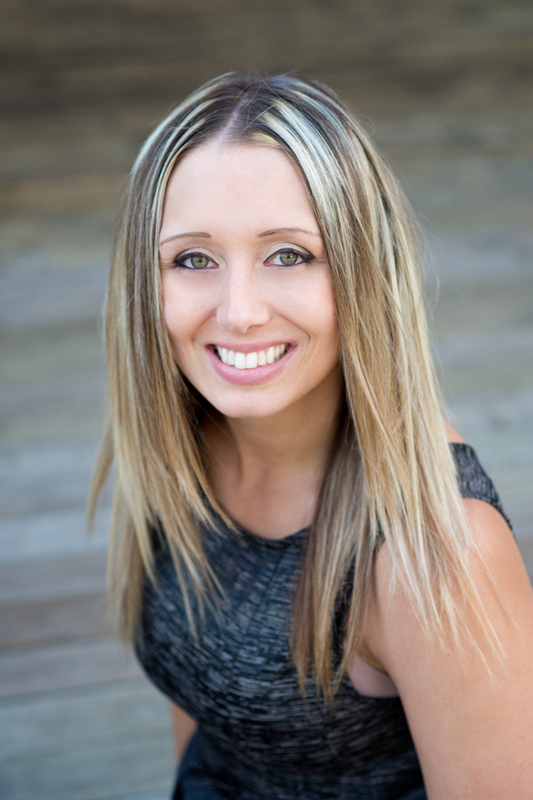 Michelle Durpetti is Chicago's premier wedding planner, and her blog is on the bleeding edge of style and fashion when it comes to weddings. Why Michelle Durpetti Events is a Top Wedding Planner to Follow: If you're planning a high-end, high-fashion wedding, this blog will help guide you through your planning process. Company founder Catherine Bachelier Smith is a fashion guru in addition to being a wedding planner, and her blog has plenty of style advice for fashion-conscious brides. Why CBS Lifestylist is a Top Wedding Planner to Follow: If you want your wedding to be as chic and modern as it is beautiful, this is the blog for you. Featuring articles guiding couples through the ins and outs of wedding planning, this Minnesota company's blog also has plenty of photographic inspiration for indoor and winter weddings. Why Lasting Impressions Weddings is a Top Wedding Planner to Follow: Especially fitting for a blog from a company based in Minnesota, this is a great site for those searching for winter wedding inspirations. Featured in everything from Harper's Bazaar to Style Me Pretty, this company's blog is filled with up-to-the-minute style advice for weddings. Why Strawberry Milk Events and Styling is a Top Wedding Planner to Follow: Stylish and trendy weddings are this company's specialty, so if you're a fashionista, this blog is for you. Beautiful photos of rustic, outdoor locations in beautifully wild locations are what this blog is all about. Why Love This Day Events is a Top Wedding Planner to Follow: Love This Day Events is based in Colorado, and the wedding photography featured on their blog showcases the great outdoors and rustic weddings for those planning a Rocky Mountain wedding. This Michigan-based wedding planning company's blog features photos from weddings in all four seasons. Why Two Foot Creative is a Top Wedding Planner to Follow: Not every wedding has to be a summer wedding; if you're planning a wedding with the brilliance of fall colors, this blog's photos will inspire you. Simply Sweet Weddings is a wedding planning service based in Southern California with a blog featuring photos from their events and articles on a range of subjects, including wedding gifts and even advice for aspiring wedding planners. Why Simply Sweet Weddings and Events is a Top Wedding Planner to Follow: This blog doesn't just cover wedding planning; it's about all things weddings and even features advice for those looking for a career in wedding planning. This LA-based wedding planning company's blog is filled with design ideas, DIY decor tutorials, and more. Why Tasteful Tatters is a Top Wedding Planner to Follow: If you want to bring a little Southern California style to your wedding, this blog will be your best bet for inspiration. With photos of weddings in a variety of Orange County locations, this blog is filled with inspirations for anyone planning a wedding. Why Intertwined Events is a Top Wedding Planner to Follow: Thanks to the company's varied venues and wedding themes, Intertwined Events' blog is great for those looking for some unique elements to add to their wedding celebration. With plenty of beautiful photos from their weddings and events as well as style ideas on everything from the dress to the flowers, this blog is all about inspirational styles and images for weddings. Why Vision in White is a Top Wedding Planner to Follow: If you need a little photographic guidance for a classic, traditional wedding, this blog is sure to inspire. From table settings to interior decor, this is a wedding planning blog steeped in design. 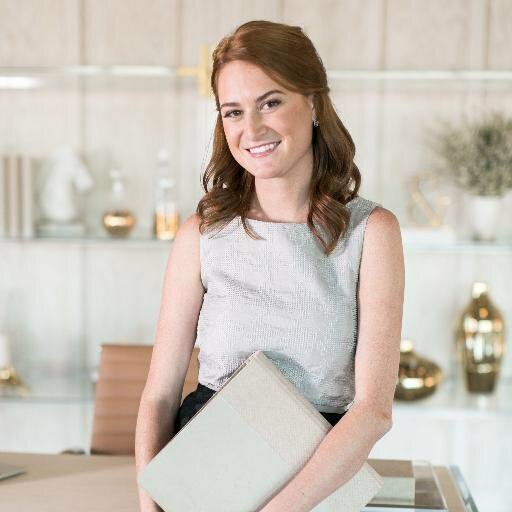 Why Jessica Sloane Event Syling and Design is a Top Wedding Planner to Follow: If you're big into design, the stylish ideas found on this blog will feel like they were made for you. This Colorado-based company's blog is filled with great photos of rustic mountain weddings. Why JA Specia Events is a Top Wedding Planner to Follow: If you want to plan a rustic wedding in the mountains, this blog's scenic Rocky Mountain wedding photos will fill your head with great ideas. Firefly Events plans weddings all over the world, and their mood board features are filled with ideas for unique, stylish, and trendy weddings. Why Firefly Events is a Top Wedding Planner to Follow: If you're looking for a wide variety of ideas and inspiration for everything from clothing to decor for your wedding, check out this blog's "Moodboard Monday" feature. Named by Vogue as one of the world's top wedding planners, Toast's blog is filled with ideas for stunning, modern weddings. Why Toast Events is a Top Wedding Planner to Follow: If it's style you want, you can't do better than one of Vogue's top wedding planners; their pictures are sure to get your creativity working overtime. This blog is all about destination weddings, from planning your wedding from afar to decor and special details to great locations. 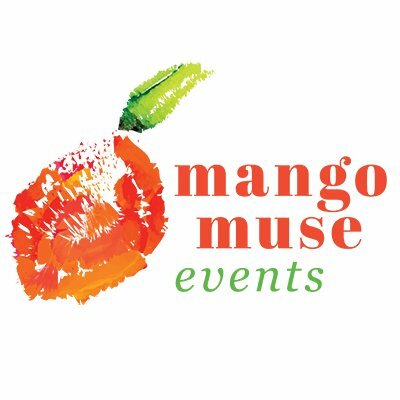 Why Mango Muse Events is a Top Wedding Planner to Follow: If you want to create a special destination wedding experience for all involved, this blog will arm you with all the tips you'll need. They even have a step by step wedding planning program to take you from engagement to wedding day without all the guesswork. Each and Every Detail prides itself on the continuing education of its wedding planners. Why Each & Every Detail is a Top Wedding Planner to Follow: Each & Every Detail's blog is about educating couples on what their options are, what to look for and how to plan their events, as well as giving couples advice on trends and styles. Taking advantage of its company's location in Arizona, this blog is full of ideas for a beautiful wedding using the colors, geography, and plants of the American Southwest. Why Events by Show Stoppers is a Top Wedding Planner to Follow: If you want your wedding to feel right at home in the American Southwest, this blog's tips and photos will be your guide. With unique decor ideas and great photos of Las Vegas weddings, this blog is all about Sin City style. Why Green Orchid Weddings and Events is a Top Wedding Planner to Follow: If you're on the lookout for some unique wedding decor and accessories, you'll find plenty of ideas packing the pages of this blog. Read: Green Orchid Events News! This Minneapolis-based company plans the weddings its clients want, whether traditional, whimsical, or quirky, and their blog reflects the wide variety of styles they work in. Why Blush & Whim is a Top Wedding Planner to Follow: With DIY style ideas galore, this Minnesota company's blog is great for those who want to bring a little handmade style to their wedding. This blog features a portfolio of photos from gorgeous New Mexico weddings. 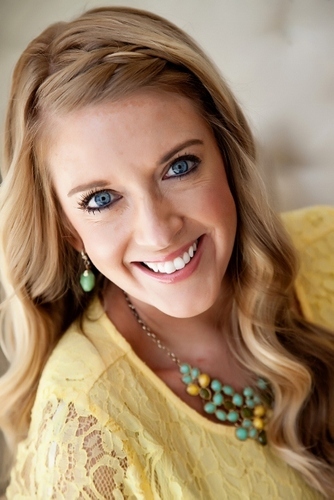 Why Alena Swanson is a Top Wedding Planner to Follow: Couples getting married in New Mexico should check out the photos on this blog for some great desert wedding ideas. Packed with ideas for color palettes, accessories, and more, this blog will help you plan the most gorgeous wedding you can dream of. Why Tickled Pink Brides is a Top Wedding Planner to Follow: Featuring tutorials on how to deploy little-used styles and colors, this blog is for couples who want the look of their wedding to be uniquely memorable. A Nashville-based wedding planning company, Stunning Events' blog gives readers the lowdown on wedding lingo and how to navigate the tricky business of hiring the right people for your special day. Why Stunning Events is a Top Wedding Planner to Follow: If you're at a loss as to the difference between a wedding planner and a wedding coordinator, this blog's posts on the ins and outs of the wedding business will be a big help. 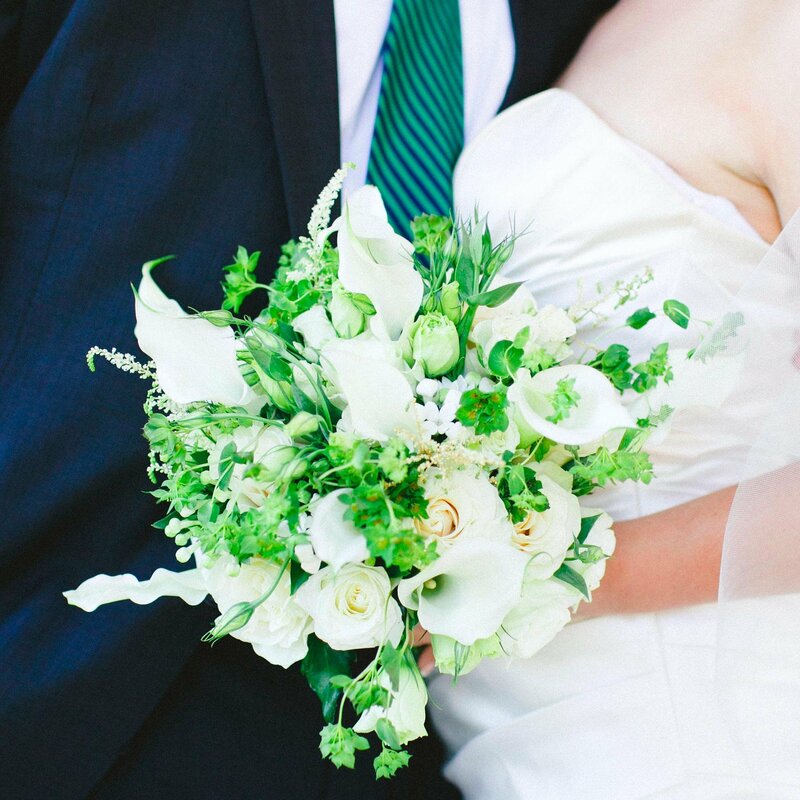 This Virginia-based company takes only a certain number of weddings each year, but their style, floral arrangements, and inspirations can be yours all year long on their blog. Why Mallory Joyce is a Top Wedding Planner to Follow: For couples looking for style, fashion, and floral inspirations for a classically-styled wedding, this blog fits the bill. Read: We're hiring! Associate planner needed! This blog is all about bridal style, featuring dress trends, hairstyles, makeup ideas, and more. 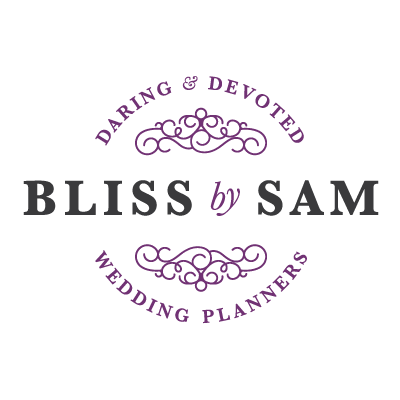 Why At First Blush & Co is a Top Wedding Planner to Follow: Brides looking for some style advice and inspiration should check out this comprehensive blog. This company's uniquely beautiful weddings make for a seriously stunning photo blog. Why New Creations is a Top Wedding Planner to Follow: If you want a dash of unique style on your wedding day, the images in this blog are a great place to start getting ideas. Rebecca Rose Events' blog is an oft-updated site that focuses on wedding design, aesthetics, and practical planning advice, such as budgeting and venue selection. Why Rebecca Rose Events is a Top Wedding Planner to Follow: Planning a wedding is about a lot more than picking the right styles; this blog helps with the practical elements like money, venues, and seating. Andrea Eppolito's blog features beautiful wedding photography, venue ideas, and plenty of planning advice. Why Andrea Eppolito Events is a Top Wedding Planner to Follow: Whether you're searching for a venue for your wedding or wondering what the difference is between a wedding planner and a wedding coordinator, this blog will be useful every step of the way. Real Weddings, a monthly newsletter and tips on planning and styling and more are the highlights of this blog. Why Styled Bride is a Top Wedding Planner to Follow: If you want a wedding that's unique but refined, this blog's tips on food, drink, and decor are for you. This Charleston, South Carolina-based wedding planners' blog features photographic inspiration for a wedding steeped in Southern charm. Why Yoj Events is a Top Wedding Planner to Follow: If you want to throw a Southern-style wedding, this blog will provide plenty of ideas, whether you want an old-fashioned wedding or something a little more modern. With both wedding photos and style advice, this blog's how-to articles and floral inspirations are a particular highlight. 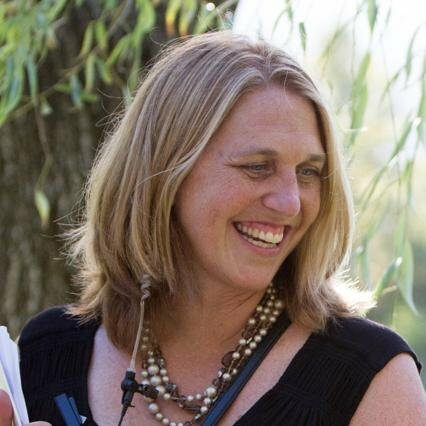 Why Kim Moody Design is a Top Wedding Planner to Follow: If you still haven't found the perfect centerpiece or floral arrangement for your wedding, this blog will be a great help. This blog is a valuable resource for engaged couples, with articles on almost every subject imaginable, including how to talk to friends and relatives about your wedding and how to register for gifts without guilt. 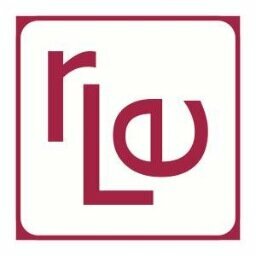 Why RLE Charleston is a Top Wedding Planner to Follow: Whether you're looking for wedding inspiration or looking for advice on what to do now that you're engaged, this blog is a perfect resource to guide you to your wedding day. 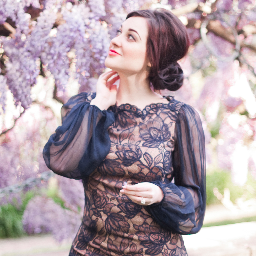 Two Little Birds' blog features fashion advice for brides in addition to stunning images from their weddings. Why Two Little Birds Planning is a Top Wedding Planner to Follow: Brides who want their wedding day look to be stylish, trendy, and modern should check out the articles and images on this blog. This Orange County-based wedding planning blog features a ton of beachside weddings, among other classic Southern California locations. Why The Maria Lindsay Wedding and Events is a Top Wedding Planner to Follow: If you're planning a beachside wedding, this blog's many photos gives you all the style ideas you'll need. This blog has plenty of photos featuring highly traditional Midwestern weddings, including invitations, receptions, and more. Why Ashley Weddings and Events is a Top Wedding Planner to Follow: If you want your wedding to be like something out a storybook, the white dresses and flower petals in this blog's photos will be the perfect inspiration. This company focuses on beautifully designed weddings and events, and their blog features photographs that capture every detail of those designs. 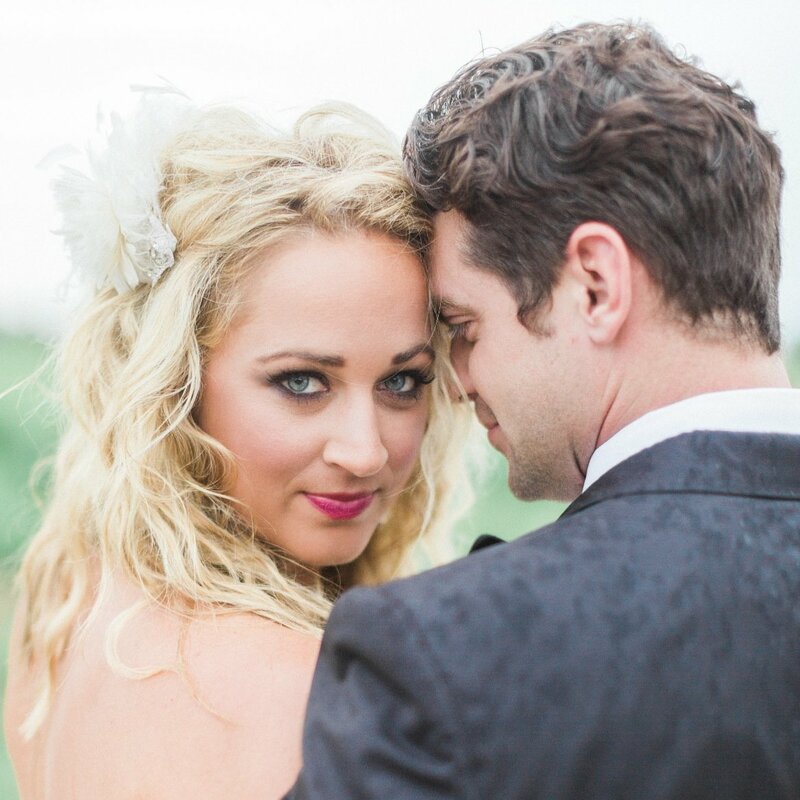 Why Kelsey Rae Designs is a Top Wedding Planner to Follow: Those looking for design, decor, and accessory inspirations for their wedding should check out Kelsey Rae Design's blog for its sumptuous pictures. Featuring photos and ideas for California wine country weddings, this blog is a feast for the eyes. Why Rosemary Events is a Top Wedding Planner to Follow: With tips on venues, wine picks, and more, this blog is built for those planning a wedding in California wine country. Although they're based in the South, Ivory and Beau draw inspiration from everywhere to create their weddings, resulting in a blog filled with unique and interesting images. Why Ivory and Beau is a Top Wedding Planner to Follow: If you're planning a wedding that you want to be a little outside the norm, you'll find some great inspirations on this blog. This events company's traditionally elegant weddings make for some stunning photography. Why Vangie's Events of Distinction is a Top Wedding Planner to Follow: This blog's elegant wedding photos in a wide variety of venues will provide perfect inspiration for those planning a traditionally beautiful wedding. These Jacksonville, Florida, wedding planners also rent furniture and other essentials for those looking to throw a classic Southern-style wedding. Why Southern Charm is a Top Wedding Planner to Follow: The featured rentals on this blog will serve as great inspiration for anyone hoping to fill their wedding with Southern charm. Invision Events is an Alabama-based wedding planning company, and their blog plays host to beautiful photos featuring a wide variety of venues and decor styles. Why Invision Events is a Top Wedding Planner to Follow: Couples planning an Alabama wedding will find plenty to inspire them in this blog's pictures. French Connection Events' owner Tracy French was once a core planner on the Style Network, and her expertise shows in this blog's stunning photos. Why The French Connection Events is a Top Wedding Planner to Follow: Whether you're planning a destination wedding or something a little closer to home, Tracy French's experience and taste will be the perfect guide to your perfect day. This wedding planning blog documents its company's work with a large collection of high-quality photographs. Why The Graceful Host is a Top Wedding Planner to Follow: Wedding inspiration is easy to come by online, but the huge number of high-quality, detailed photographs on this blog lets you get up close and personal with every aspect of each wedding, making it perfect for those who are looking for that finishing touch to their decor or design. Company founder Christina Millikin began her career as a fashion designer, and her wedding planning blog is packed with great advice on a wide range of styles. Why Glow Event Design is a Top Wedding Planner to Follow: For those who are just beginning to hone in on style for their wedding, the various styles and ideas showcased on this blog will be a big help. They also have helpful wedding video blogs with planning tips that brides might find helpful. This Hawaii-based company's blog is wall-to-wall images from stunning tropical seaside weddings. Why Bliss is a Top Wedding Planner to Follow: If you want your wedding to be a tropical ocean front dream, this blog's Hawaiian photos will help you set the bar. Featuring plenty of wedding photography, this blog also contains great advice for brides searching for the perfect dress. 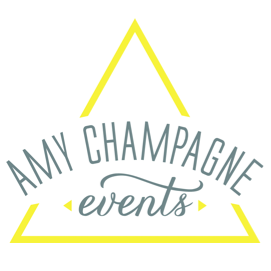 Why Amy Champagne Events is a Top Wedding Planner to Follow: If you're a bride still seeking the perfect dress, this blog's articles will be a great help to you. This company focuses on rustic-styled weddings, and their blog is filled with photos of farmhouse ceremonies and handcrafted decor. Why Loft 5 is a Top Wedding Planner to Follow: If you're planning a rustic country wedding, you'll find plenty of inspiration in this blog's photos. In addition to beautiful wedding photography, this blog features a ton of bite-sized wedding tips for planners on the go. 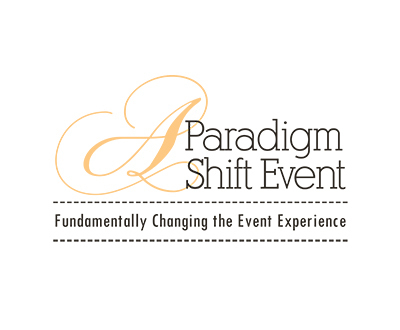 Why A Paradigm Shift Event is a Top Wedding Planner to Follow: If you're trying to digest as many wedding tips as possible in a short time, the quick tips featured on this blog are for you. This blog features great advice on some thorny wedding issues, from interfaith services to budget-friendly receptions and more. Why Hourglass Productions is a Top Wedding Planner to Follow: If you're planning a wedding without the help of a professional planner, the advice in this blog will be a huge help. A great blog for learning about the wedding industry, this site features interviews with wedding professionals of all different stripes. Why The Nouveau Romantics is a Top Wedding Planner to Follow: If you're an aspiring wedding photographer or planner, or if you just want to learn more about the industry, the great interviews on this blog are for you. Balancing San Francisco wedding photos and inspirations with plenty of wedding planning advice, Dream a Little Dream's blog reflects their company's mission to build unique wedding experiences for each of their clients. 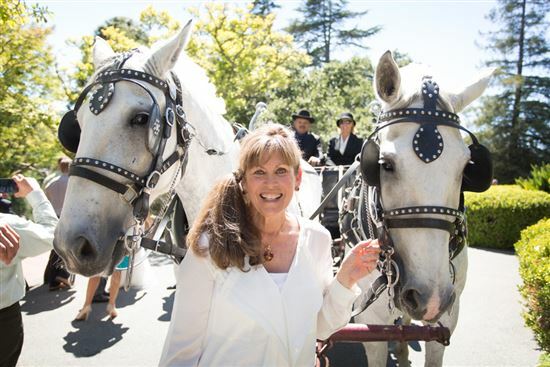 Why Dream a little Dream Events is a Top Wedding Planner to Follow: For Bay Area couples planning a wedding, there are tons of great venue and decor ideas in this blog. This blog features great advice for couples, from how to use Pinterest to plan a wedding to what to include on a registry. Why Alexandria Catherine Events is a Top Wedding Planner to Follow: Couples who need a little help getting started with their wedding planning will find the detailed articles on this site very helpful. Green Fox Events plans stunning weddings while keeping things environmentally friendly, and their blog features advice on how to do that yourself. 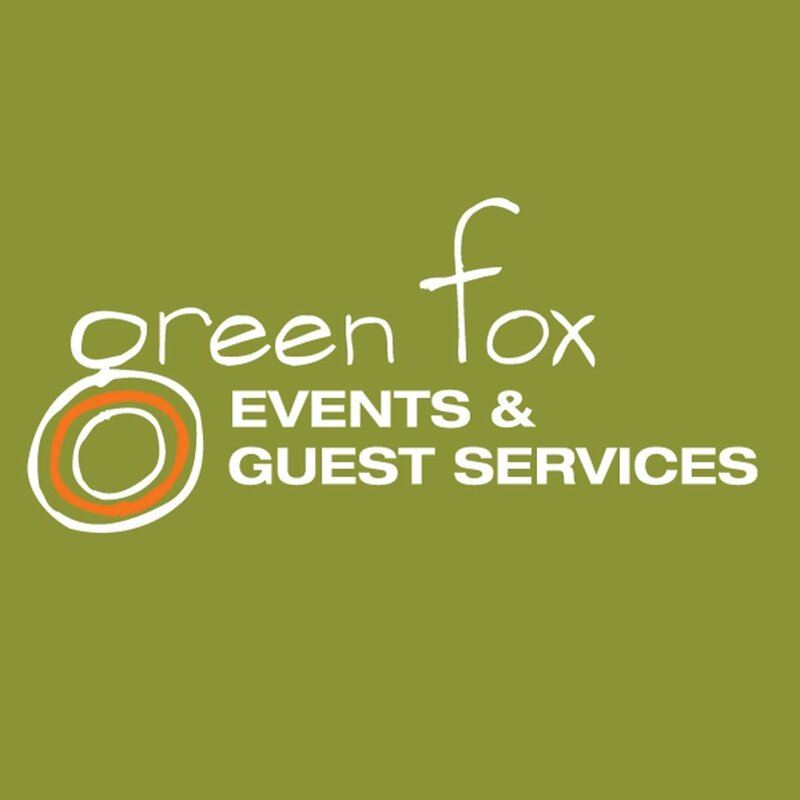 Why Green Fox Events and Guest Services is a Top Wedding Planner to Follow: This blog is great for environmentally-conscious couples who want to keep their wedding green. This blog's feature column about walking through the wedding planning process with different couples is a real standout, but it also features plenty of great photographic inspirations, too. Why Fairy Godmother is a Top Wedding Planner to Follow: If you're curious about what you're getting yourself into when you hire a wedding planner, Fairy Godmother's series on the wedding planning process is a must-read. A Dallas-area wedding planning company, Hitched Events' blog is packed with photos from beautiful Texas weddings. Why Hitched Events is a Top Wedding Planner to Follow: If you're putting together a wedding in the Dallas-Fort Worth area, the styles and venues featured on this blog will provide plenty of inspiration. 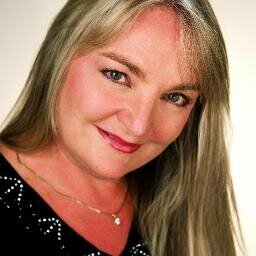 Elena Damy plans weddings in Mexico and all over the world, and its blog is filled with photos from and ideas for spectacular destination weddings. 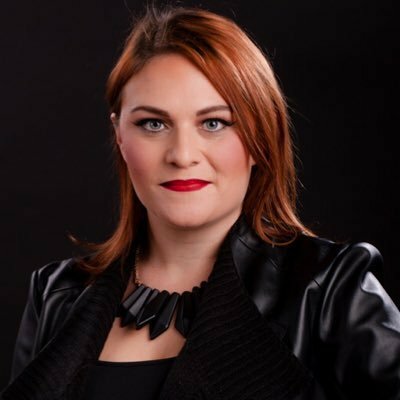 Why Elena Damy is a Top Wedding Planner to Follow: If a tropical destination wedding is in the cards for you, this blog is a must-see. 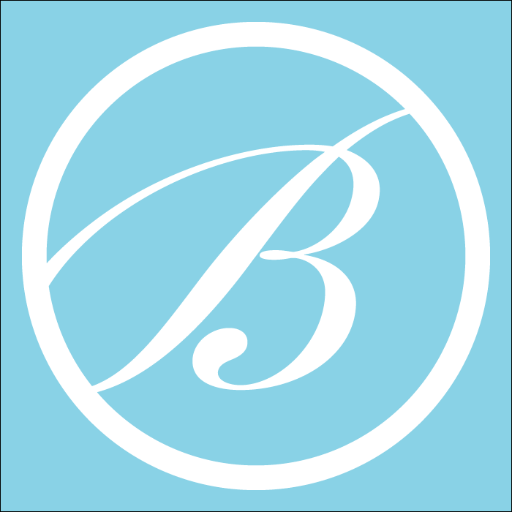 Bright Occasions' blog offers guidance throughout the planning process. In addition, it's a great resource for ideas for wedding decor and design. Throughout the year Bright Occasions features real weddings, color inspiration and wedding planning advice. 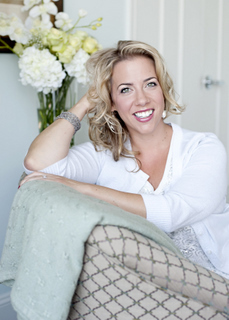 Why Bright Occasions is a Top Wedding Planner to Follow: No detail is left out. Bright Occasions helps couples nail down the smaller details of their wedding, like honoring lost loved ones on the big day and seamlessly incorporating beloved pets into the ceremony. This Minnesota wedding planning company's blog balances beautiful photos from their events with tips for holding the perfect wedding in the Twin Cities. Why Rosetree Events is a Top Wedding Planner to Follow: If you're looking for the perfect venue, caterer, or other wedding service in Minnesota, this blog is sure to help. Company founder Kaella Wilson is known for her impeccable sense of design, and her blog features advice on color palettes, place settings, and more for weddings. Why Kaella Lynn Events is a Top Wedding Planner to Follow: This blog is a must-see for those couples looking for some style advice for their big day. Favored by Yodit, a wedding planning company based in Washington, DC, specializes in multicultural weddings. Their blog features photos for their events as well as articles about top wedding trends. Why Favored by Yodit is a Top Wedding Planner to Follow: If you are one-half a multicultural engaged couple, this blog will serve to inspire you to infuse multiple ethnic and cultural traditions into your wedding. This New York City wedding planning company's blog is packed with plenty of great tips for gathering your wedding team, from the planner to the vendors to the stylist. 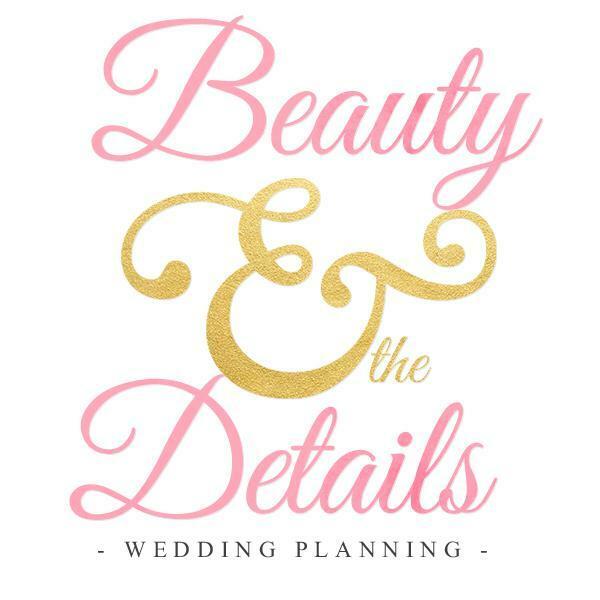 Why Beauty & the Details is a Top Wedding Planner to Follow: Couples trying to put together their wedding team in New York City will find plenty of great tips here. With style guides galore, this blog is all about helping you plan a beautiful, distinctive wedding. Why Anna Lucia Events is a Top Wedding Planner to Follow: Featuring "before and after" photos of wedding venues, this is a great blog for those looking to see what's possible to achieve in different places. Wedding planner Courtney Inghram is passionate about flowers and floral arrangements, and you'll find plenty of examples and inspirations for them on her blog. Why Courtney Inghram Events is a Top Wedding Planner to Follow: If you need ideas for the floral arrangements for your wedding, this blog has plenty of stunning examples. Read: This Week's Featured Friendor! With plenty of advice in a conveniently bite-sized format, this blog is unique among wedding planning blogs. Why An Enlightened Event is a Top Wedding Planner to Follow: This blog features quick-reading, bite-sized blog posts for those who are pressed for time but still want to do a little wedding research. A wedding planning blog featuring stunning, high-quality photographs and the musings of company founder William Parkinson. Why William Parkinson Events is a Top Wedding Planner to Follow: If you're looking for big, crystal-clear, beautiful wedding images to inspire you, look no further. This San Francisco-based company plans high-end weddings, and their blog features ideas for everything from food to place settings to decor. Why Blu Bungalow is a Top Wedding Planner to Follow: With photos from Bay Area weddings, this blog is great for those planning a wedding in San Francisco and the surrounding cities. Read: Time to Embrace Those Fall Weddings! In addition to inspiring photos of their weddings and events, Dotted Events' blog features a variety of simple tips and tricks to make planning your own wedding easier. Why Dotted Events is a Top Wedding Planner to Follow: If you're planning your own wedding, the simple tips, shortcuts, and other tricks on this blog will prove helpful. This blog is packed with great wedding planning tips on everything from trends to how to cut the cake. Why Knots 'N Such is a Top Wedding Planner to Follow: If you're feeling nervous, anxious, or lost when it comes to planning a wedding, the simple, straightforward advice featured on this blog will set your mind at ease. This wide-ranging blog, featuring everything from honeymoon ideas to Chicago-area vendor tips, provides you with plenty of wedding planning goodness. Why Kesh Events is a Top Wedding Planner to Follow: If you're planning a wedding in the Chicago area, the vendor interviews on this blog will help you find the perfect vendors for your wedding. 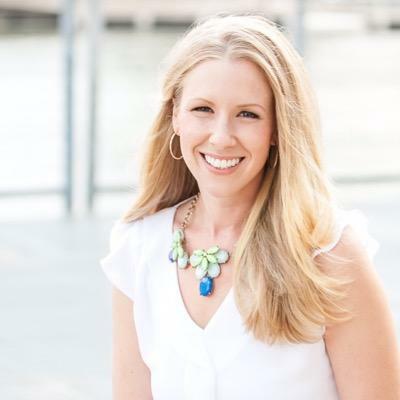 Leigh Pearce, a full-service wedding and event planner based in North Carolina, writes a blog featuring photos and descriptions of her many weddings and events throughout the Southeastern United States. 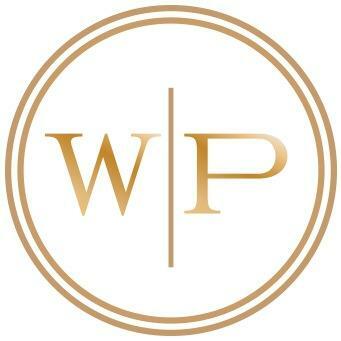 Why Leigh Pearce Weddings is a Top Wedding Planner to Follow: Whether or not you live in the southeast, this is a great site to find wedding inspirations of all kinds. From beach weddings to ballrooms, Leigh does it all. Featuring styles, trends, stories, news, and more, this blog is filled to bursting with great ideas for weddings of all kinds and sizes. Why La Dolce Idea is a Top Wedding Planner to Follow: The company might be based in Southern California, but their blog features universally applicable advice and inspirations for couples everywhere. 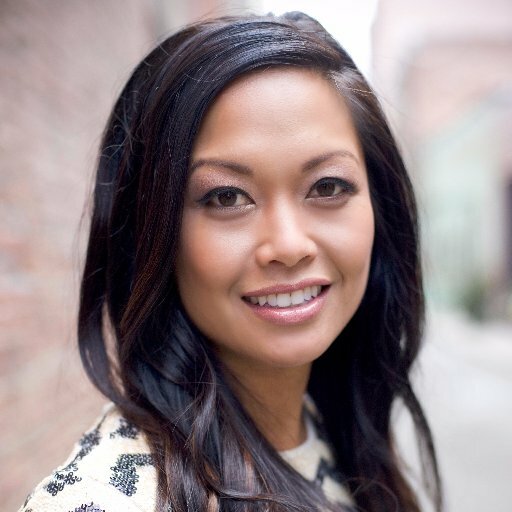 Wedding planner Jenna Lam's blog features food, decor ideas, and photos for all seasons. Why Jenna Lam Events is a Top Wedding Planner to Follow: Jenna Lam describes herself as a perfectionist, and the impeccable images on this blog are great for those who want every detail of their wedding to be just so. A wedding filled with trends and the latest styles is great, but this blog also shows couples how to put their spin on the latest fashions. 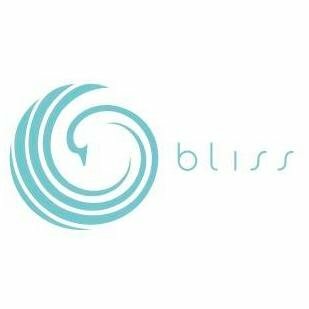 Why Bliss by Sam is a Top Wedding Planner to Follow: If you want a fashionably modern wedding with a uniquely personal spin, the trends and ideas featured on this blog will do the trick. 27 Miracles' blog has plenty of photos from their California weddings, and each post features the list of vendors that made the wedding possible. Why 27 Miracles is a Top Wedding Planner to Follow: If you're looking for vendors, decorators, and venues in California, this blog will point you in the right direction. Filled with photos, tips, and trends galore, this blog is here to help you have the perfect wedding. Why Events by Elaine is a Top Wedding Planner to Follow: This blog's posts about the biggest and best wedding trends are a must-read for the style-conscious couple. With advice on everything from stress reduction to crafting the perfect guest list, this blog is great for those in the thick of planning a wedding. Why Whimsical Weddings and Events is a Top Wedding Planner to Follow: If wedding stress is getting the better of you, this blog's tips on how to craft a wedding backup plan or how to avoid nightmare guests will set your mind at ease. While it also features wedding photography and venue and planning tips, this blog's highlight is its interviews with other wedding planning professionals. Why Double G Events is a Top Wedding Planner to Follow: This blog's interviews with designers and wedding planning professionals are perfect for those looking for a variety of voices and influences as they get started planning their wedding. From wine country to redwoods, Make It Happen's blog is full of beautiful images from West Coast weddings. Why Make It Happen is a Top Wedding Planner to Follow: Whether you're looking for venue ideas, decor inspirations, or vendors, this blog will help all California couples with their planning. This Southern California wedding planning company's blog features a wide variety of venues. 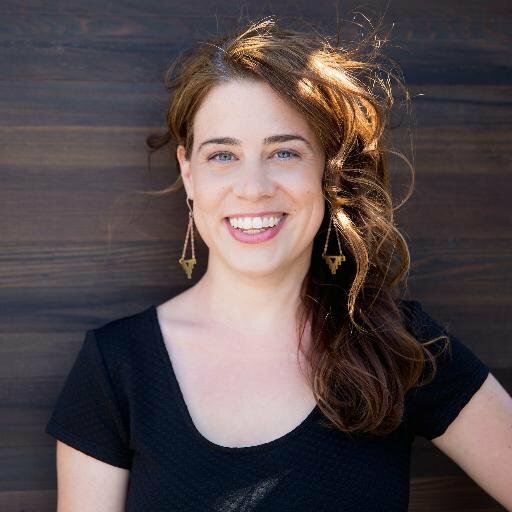 Why Natalie Sofer Weddings and Events is a Top Wedding Planner to Follow: If you're getting married in Southern California and are looking for the perfect venue, this blog is a great place to start your research. This Cleveland-based company's blog is filled with gorgeous photos of venues from all over the city. Why Kirkbrides is a Top Wedding Planner to Follow: Anyone planning a wedding in Cleveland would do well to check out the decor and venue ideas in this blog. Chock-full of detailed articles about how to plan the perfect wedding, this blog's articles on certain wedding etiquette topics are a real standout. Why Everything But The Ring is a Top Wedding Planner to Follow: If you're looking for some longer, more comprehensive articles on wedding planning, etiquette, and more, this is the blog for you. This blog features wedding photos, advice for couples gearing up for their wedding, and a focus on wines and vineyard weddings. 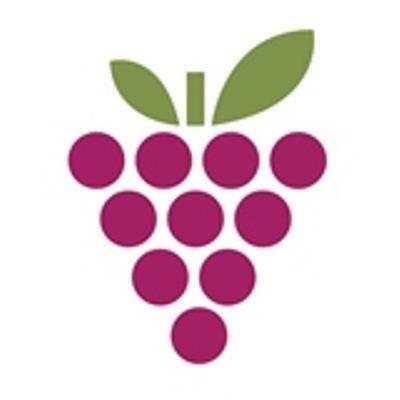 Why Weddings by the Vine is a Top Wedding Planner to Follow: If you're thinking about having your wedding in a vineyard, this blog will provide you with plenty of inspiration for both the decor and the wine list. A Houston, Texas-based wedding planner's blog featuring beautiful photography of highly personalized weddings. Why Heather Benge Events is a Top Wedding Planner to Follow: If you're looking for ideas for a wedding photo shoot, the galleries featured in this blog will provide plenty of inspiration. This blog features great advice for couples about to get married, including how to find the perfect wedding planner and how to pick the right gifts for your wedding party. Why Inked Events is a Top Wedding Planner to Follow: Whether you're in the early or late stage of your wedding planning process, this blog's great advice articles will guide you toward the perfect special day. This blog runs down beautiful, exotic locations perfect for destination weddings. Why Honeymoons and Get-A-Ways is a Top Wedding Planner to Follow: Anyone planning a destination wedding, and who wants to make sure they pick the perfect spot, should check this blog out right away. Thinking about popping the big question? Make sure you read our how to buy an engagement ring online guide. Share on Facebook "Best Wedding Planners"